Artist, Lydia Moyer has created a new poster, as a follow up to her much talked about: "Make America an Endless Expanse of Old Growth Forest with no Certain Borders Again," (which have all been dispersed). 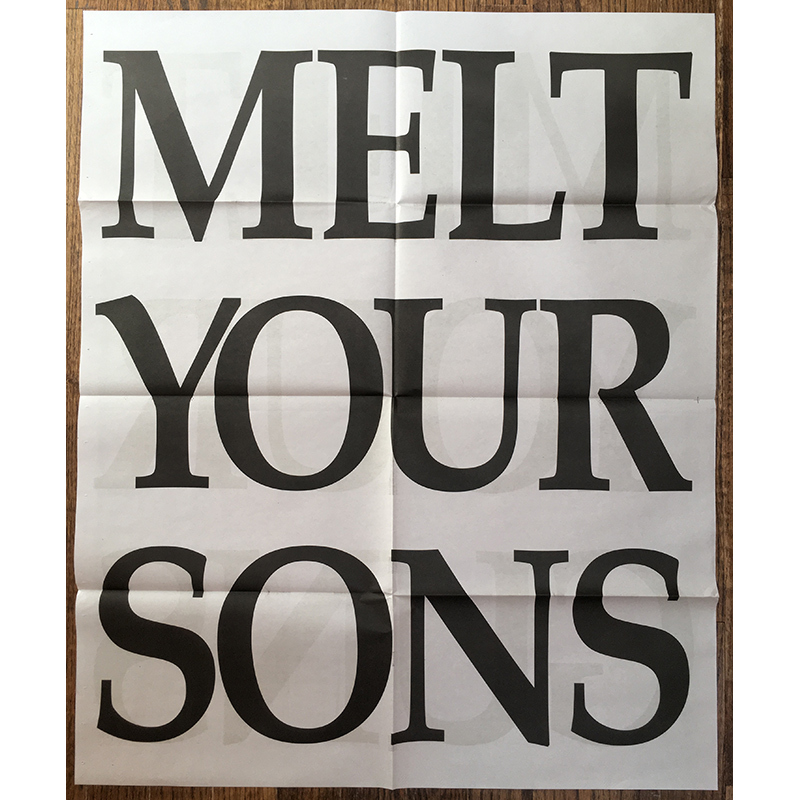 This new one, also newsprint, is two-sided with the words 'Melt Your Guns' on one side and 'Melt Your Sons' on the other. We are lucky to be giving them away with orders while supplies last.
" I live in Charlottesville where this year, on the anniversary of the Unite The Right rally which brought hundreds of gun-wielding young male white supremacists to town in 2017, there were checkpoints around the city where the police could take your knives and bats and paintball guns and water guns and pellet guns away but not your AK47 because open carry is legal in Virginia." Note from the artist: If you don't want to hang them up, "they are also excellent fire-starters : )"